Nagarkot Trek is the easiest, safest, with least efforts trek near Kathmandu. 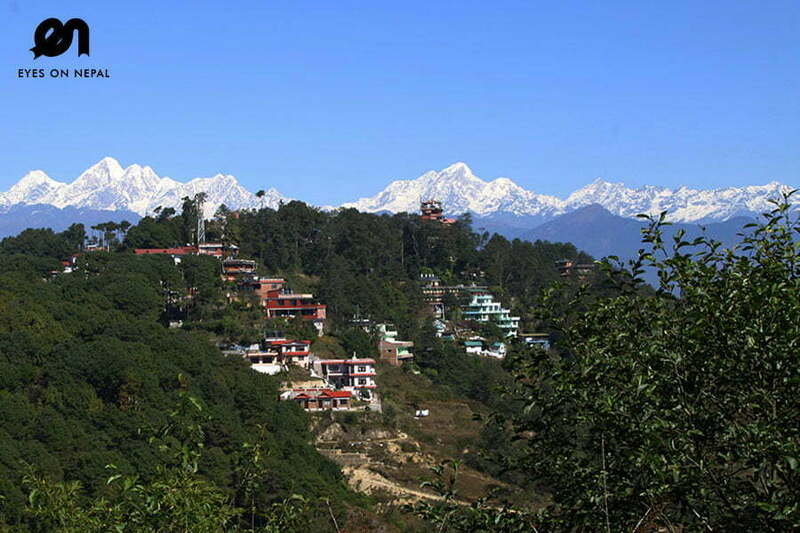 It offers stunning views of snow-peaked mountains include Mt Everest, Langtang and more. Nagarkot trek is a single day trek near Kathmandu. 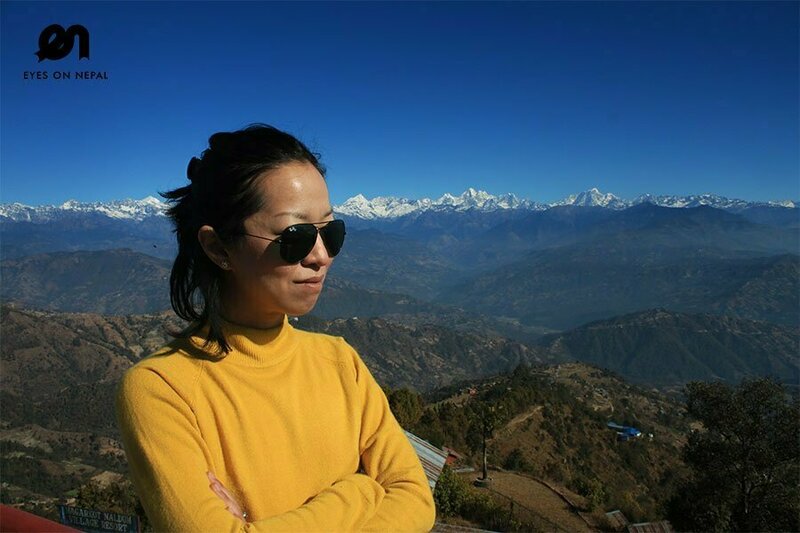 The trekking trail offers stunning views of snow-peaked mountains such as Langtang(7234m), Gauri Shankar(7134m), Mt. Everest(8848m) and more. 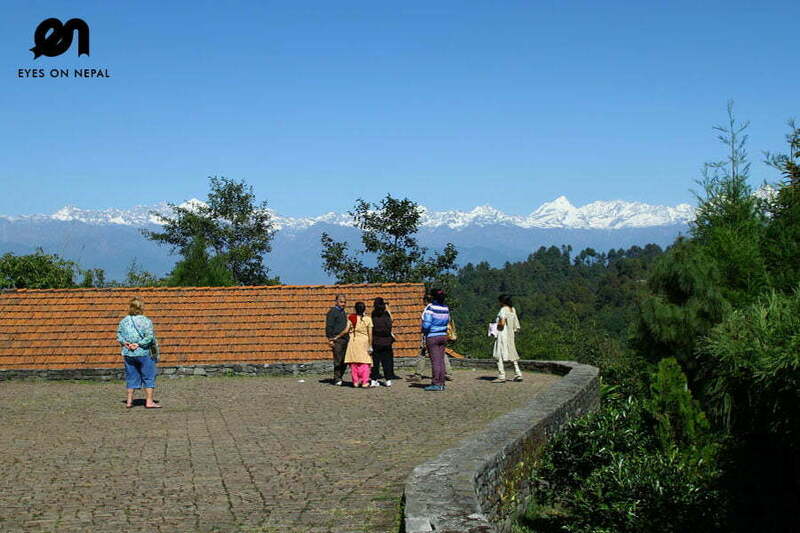 Nagarkot Hill (1800m) is a vantage point to watch sunrise and sunset. 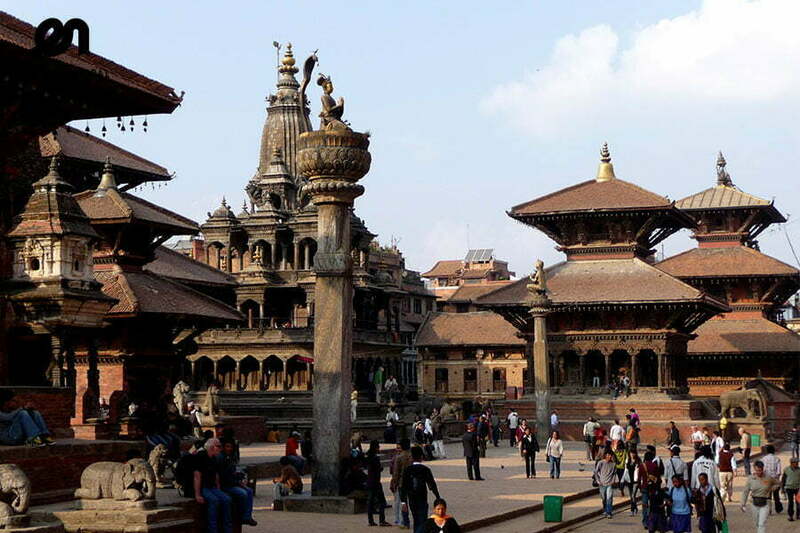 You will also visit the two famous UNESCO world Heritage monuments, namely Bhaktapur Durbar Square and Changu Narayan Temple. Are you looking for a day hike in Kathmandu? Nagarkot Trek could be your first choice. This is the easiest trek for those who want to see the snow-peaked mountains in a closer range, and yet, worry for no stamina for a bigger trek. Suitable for any age. Highlights: Amazing panoramic view of mountains and landscape. 12.00pm: Pick up from your hotel and drive to Jarsingpauwa. 01.00pm: Arrive in Jarsingpauwa. Start the trek. NOTE: You only have to carry your own belongings such as cash, camera, water bottle, sunglasses, chocolates etc. This is a 4 hours short trek near Kathmandu. Your big luggage will be transferred to your hotel in Nagarkot by your driver. You will trek with your trekking guide. 04.30pm: Arrive in Nagarkot hotel. Check in. You will have tea/coffee until sunset. 05.00pm: Sunset will be from 5pm to 7pm. It is depends upon season. 07.45am: Check out and drive to Changu Narayan Temple. 08.45 am: Arrive in Changu Narayan Temple. NOTE: You will have 1 hour time to visit this temple. Descriptions: It is the oldest temple in Kathmandu valley came in existence in 4th century. The temple is adorned by some of the best specimen of stone, wood, and metal craft in the valley. The temple stands as the epitome of culture, religion, history and faith of the Kathmandu valley. It is a UNESCO world Heritage Site. 09.45 am: Drive to Bhaktapur Durbar Square. Descriptions: Bhaktapur Durbar Square(UNESCO World Heritage Site) is an assortment of pagoda and Shikhara-style temples grouped around a fifty-five-window palace of brick and wood. The square is part of a charming valley as it highlights the idols of ancient kings perched on top of stone monoliths, the guardian deities looking out from their sanctuaries, the wood carvings in very place – struts, lintels, tympanums, gateways and windows – all seem to form a well orchestrated symphony. 01.30pm: Arrive at Black Olive Restaurant in Thamel, you will have lunch here. 03.00pm: We will drop you at your hotel after lunch. Your tour ends here. US$ 180 per person (Based on 2 persons) The price quote is based on 2 people per trip. We offer special price for group consisting more than 2 persons. 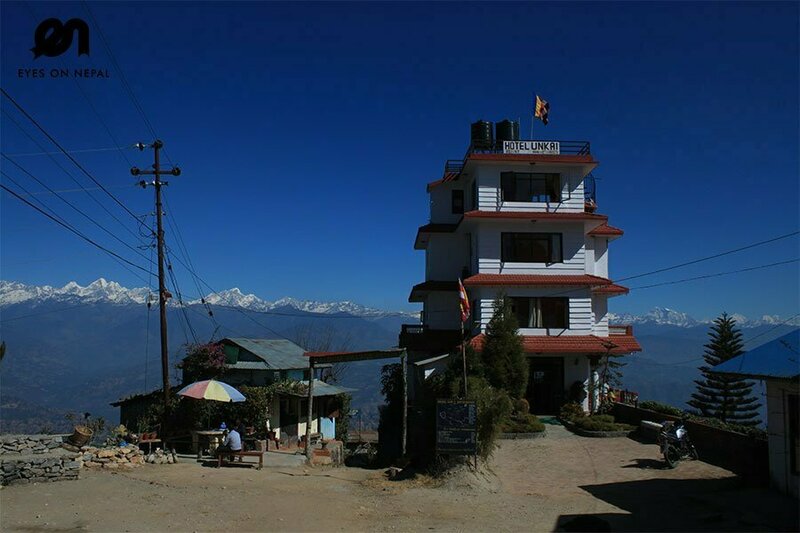 Accommodation x 1 night in Nagarkot. NOTE: Base on twin sharing. What is the best season for Nagarkot Trek? The best seasons for trekking in Nepal are spring (Mar-May) and Autumn (Sep-Nov). Can I go Nagarkot Trek in the months of June, July and August? You can do in the months of June, July and August. You need to be very lucky to have beautiful views of Himalayas. Do I need previous hiking/trekking experience required to go on Nagarkot trek? No, you do not required any previous experience to do Nagarkot Trek. Does this trekking Require Physical Effort? You just required normal physical fitness for Nagarkot Trek. What is the maximum altitude reached during this Nagarkot Trek? The maximum reached during Nagarkot trek is 1800m. How hard our Nagarkot Trek will be? The maximum altitude reached during the Nagarkot trek is 1800m. The trek demands having a passion for walking. The path is easy to walk requiring less effort on hiker’s part. What will I need to carry on the trek? Most of you equipment like sleeping bag and tent will be carried by your porter. You will only require to carry your daypack, water bottle and cameras. How cold it will be on this Nagarkot Trek? It won’t be very cold because it is just in 1800m. You need warm jacket during winter time with good inner wear. 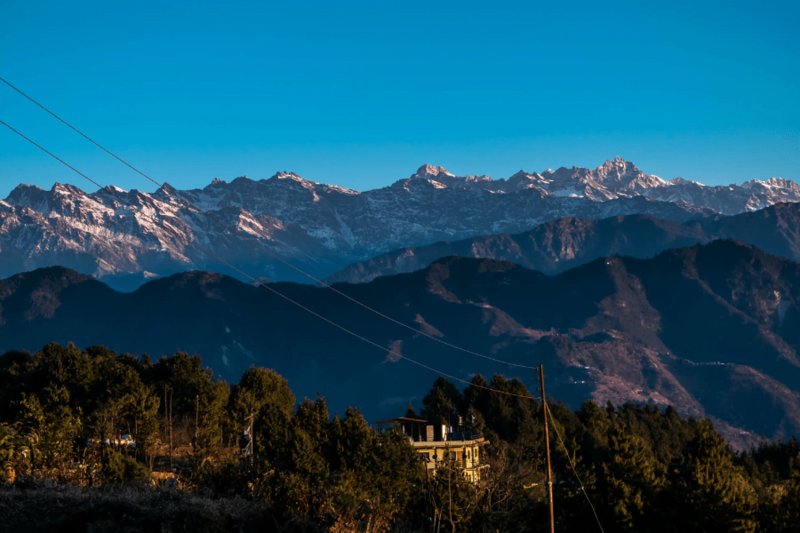 Do I need an insurance to do Nagarkot Trek? No, you don’t need. What will happen if I get injured during my Nagarkot Trek? We will immediately rescue you and take you to hospital for proper treatment. The expenses incurred for such treatment should be entirely borne by the guests himself or herself. How can i be assured that your staffs will take care of me? 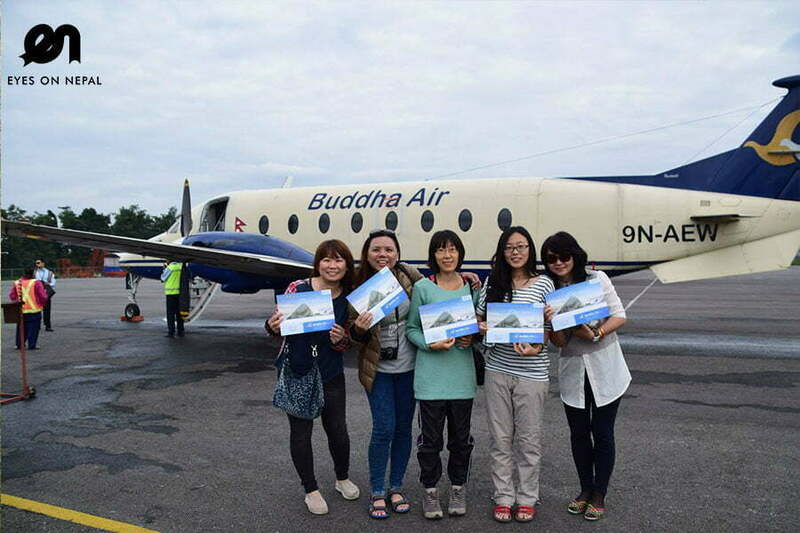 We have a team of professional staffs who have been working in tourism for many long years. They seriously take all the responsibility to look after their clients from the beginning to the end of your trek in Nepal. Are the Eyes On Nepal Tours and Treks Agency’s staffs insured? Yes, all our staffs including trekking and tour guides, porters and helpers are insured against any mishaps or accidents while on trekking. Are the food / water safe to eat / drink during the Nagarkot Trek? Food and drink are all pre-planned before your trip. We only recommend guest houses and lodges along the trek that prepare healthy cuisine and use mineral water or boiled water throughout our trekking. What are the arrangements for food and drink? Food and drink and choices of guesthouses and lodges along the trek route are preplanned and arranged according to the itinerary and your tastes and requirements. 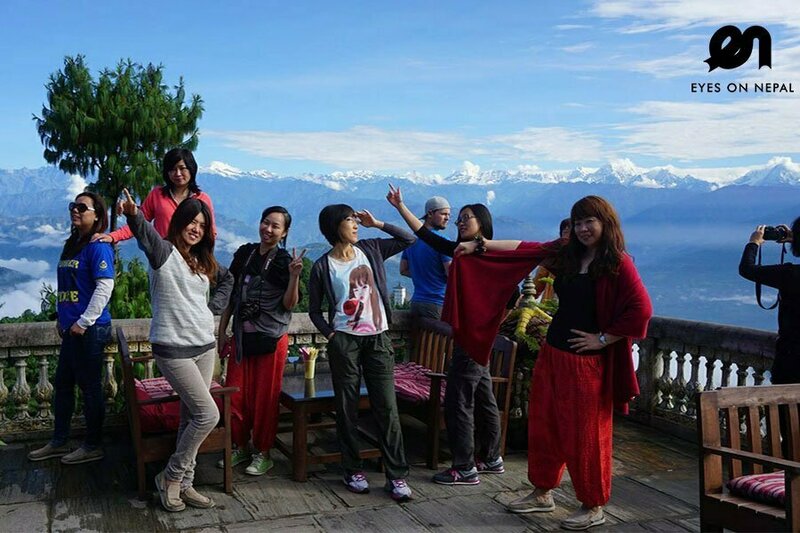 What else I can do besides Nagarkot trek program in Nepal? 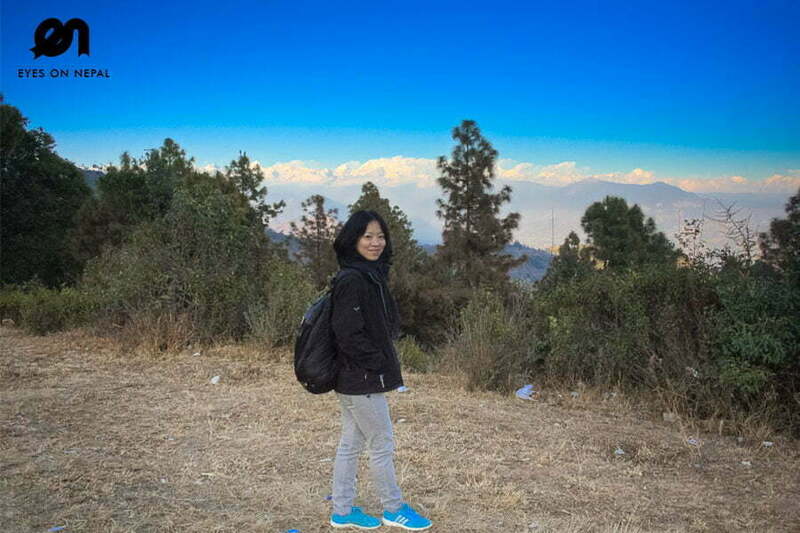 Besides Nagarkot trek, you can do sightseeing tour in other part of Nepal, Jungle Safari, River Rafting, Peak Climbing, Paragliding, Mountain flight, Special Interest Tour, Bungee Jumping, Mountain Biking, Volunteering work, Yoga, meditation and Ayurvedic treatment. Can I extend the trek? Yes, you can extend your trek or add extra programs as per your choice. What do I need to bring? For Nagarkot Trek, we advise you to bring caps, sunscreen lotion, a pair of sunglasses, water bottle and comfortable slipper or shoes. You would be best advised to bring jacket or warm sweaters during winter while tees and short for summer. A raincoat is very handy during the monsoon time.